Improve the call center experience by replacing hold-time with a call-back. 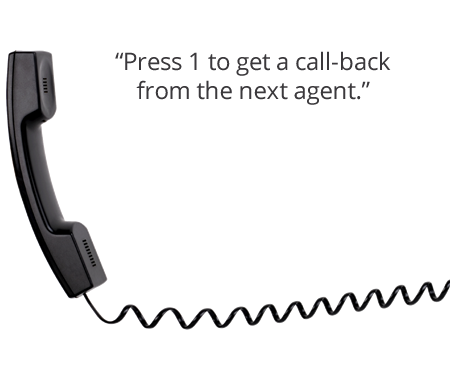 When hold-times are too long, callers simply “press 1 to get a call-back from the next available agent”. 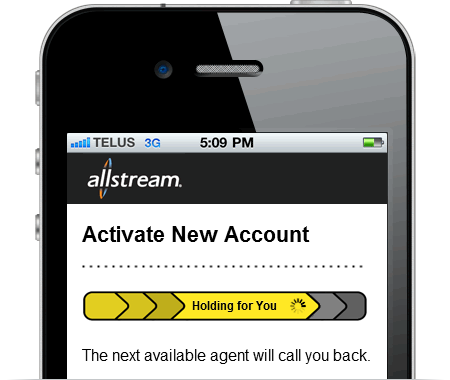 Benefits: Lower abandon rates, reduced spikes in call-volume, improved customer experience. Quick return on investment. Cloud-Based: Hooks into existing call center infrastructure. Minimal impact to business processes. SaaS Pricing: Minimal up-front cost. Flexible pricing model that scales with usage. To comply with strict security requirements, Fonolo offers a turn-key appliance that keeps all voice traffic on-site, while still using the convenience and power of the Fonolo cloud. The Fonolo appliance is a 1U rack-mount server, installed on-premise at the call center, that connects via SIP or PRI. The appliance is remotely operated, managed, and monitored by Fonolo, as part of your call-back license. Fonolo’s easy-to-use customer portal allows you to manage all aspects of your experience without involving the IT department. Comprehensive Reporting Features: Monitor call-backs in real-time. View detailed historical data including CDRs, surveys, and more. Powerful Call-Back Options: Configure queues with their own schedule, limits, agent whispers, and more. 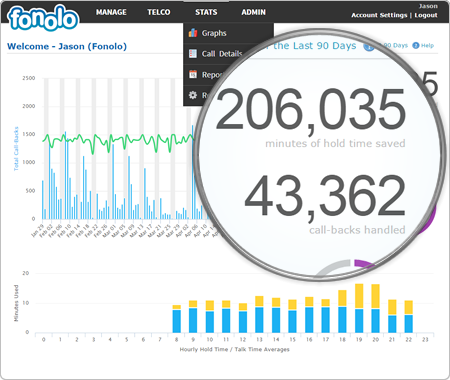 Intelligent Call Routing: Change how calls are routed via SIP trunking, the PSTN, or the Fonolo Appliance. 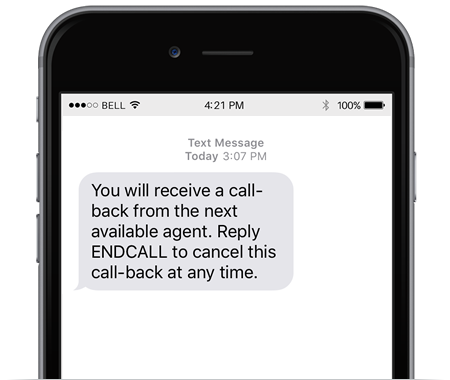 For callers on mobile devices, Fonolo offers optional SMS capabilities that improve the call-back experience for customers. Interactive SMS functionality allows callers who are waiting in a “virtual queue” to stay informed about their progress, receive important notifications, and more. SMS alerts can be added to any new or existing Fonolo deployment, without installing any hardware or software. Fonolo handles the SMS interactions from start to finish.